I can vividly remember the experience of walking into my first delicatessen (this was on a campsite on the Costa Brava in Spain and I was about 10) and being overcome by the exciting and nurturing smell of FOOD – garlic, salmi, cheese, bread, olive oil, sausage and golden, ripe honeydew melons. Somehow, I didn’t remember the shops in Britain smelling of food or being as tempting as this one and besides, most of the things for sale in this shop were totally new to me. And then bit, by bit, you want to find out what all these foods are, where they come from and what they taste like – well most of them – I baulk at tripe done any way! So this is the PURSLANE journey that started five years ago on the Anatolian coast of Turkey. 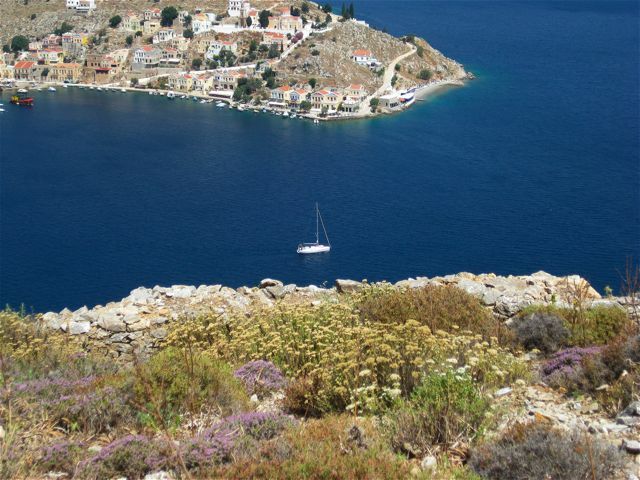 My husband and I had hopped about on the Greek Islands close to the Turkish coast – Patmos, Kos, Rhodes and Symi, with the Turkish coast visible and tempting from all of them. We had picked out, as our first stop in Turkey, a small boutique hotel in a little bay close to Fethiye where we planned to stay for 3 days. It looked marvelous on the net, but the reality was nothing like the photos – in fact, it was run down and positively creepy and I don’t do creepy. 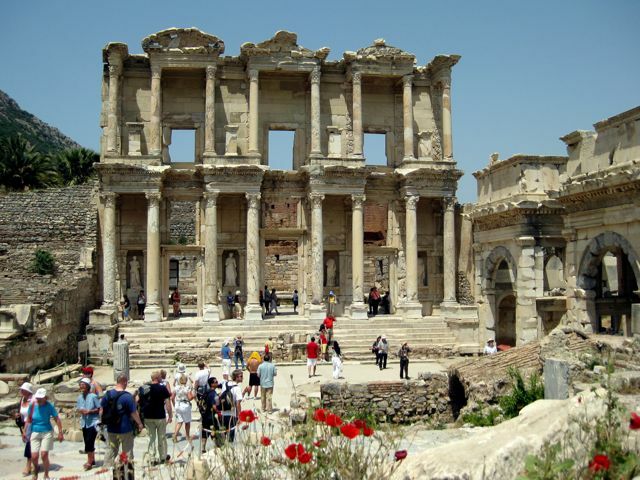 Michael and I looked at each other and then made a hasty retreat through reception, with a bemused, but somehow resigned looking owner and dragged our bags back out onto the road again to catch the mini-bus back to the port (public transport is marvelous in Turkey – thank goodness!). What we were going to do we had no idea, and it was getting late – fortunately this story has a happy ending. 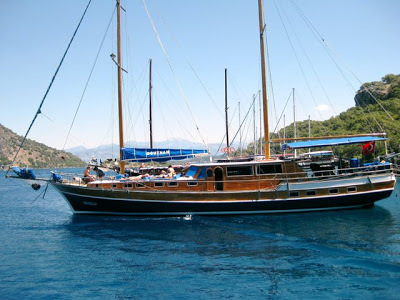 As we walked along the very picturesque harbour front of Fethiye we noticed a sign outside a little booth advertising a five day trip down the coast on a traditional Turkish wooden yacht – they had a double berth vacancy and it was leaving in the morning and yes, we could sleep on it that night and no, it wasn’t going to cost us an arm and a leg. The first crop of purslane grown in my garden – I now have it forever! Purslane Portulaca oleraceae – this is a wonder food and being used as a substitute for the benefits of oily fish. What does Purslane contain? Omega-3 fatty acids: Purslane contains high amounts of alpha-linolenic acid (ALA), an omega-3 fatty acid generally found in vegetables, as well as small amounts of EPA and DHA, omega-3 fatty acids more commonly found in fish. This essential fatty acid plays a key role in maintaining heart health; it can lower cholesterol, regulate blood pressure and decrease the risk of heart attack and stroke. Omega-3 fatty acids also enrich brain health and can be useful in preventing and treating depression. Antioxidants: Purslane is high in vitamins A, C and E, which are known for their antioxidant powers. This edible weed also contains two betalain alkaloid pigments, beta-cyanins and beta-xanthins, which act as antioxidants. Substitue purslane for other leafy green vegetables in your cooking. Use it to garnish sandwiches, add it to soups and stews, and incorporate it into your salads. If you’re pregnant, avoid purslane as it can make the uterine muscles contract. Purslane has a slightly pepper flavor and can be tart at times. 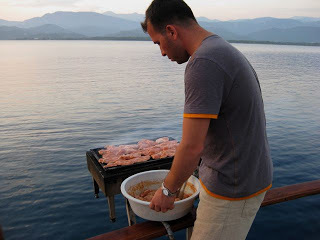 Jimmy, barbecuing chicken on the back of the boat to go with the purslane salad. So how did Jimmy serve it? Just the leaves, stripped from the stems, with some salt. 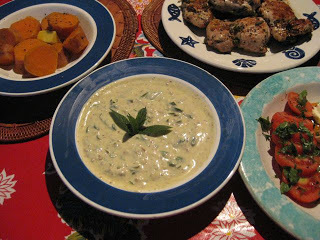 yoghurt and garlic as an accompaniment to this barbecued chicken. 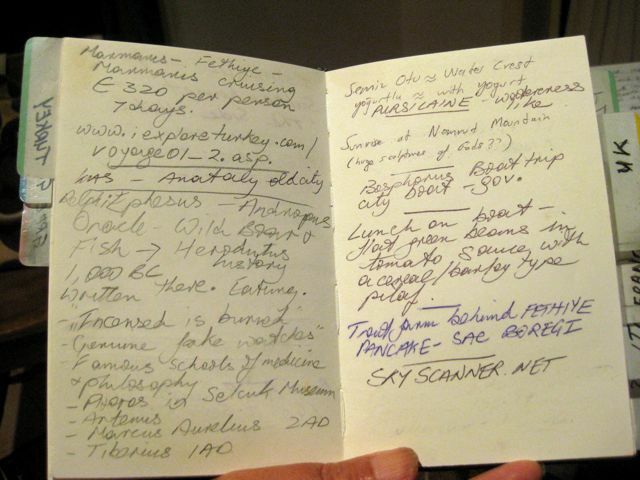 Do you keep a journal when you travel – I find it invaluable for recalling detail when my memory lets me down? Once back on shore I was determined to find out what this ‘green stuff’ was that we had just about every day on our wonderful yacht trip – oh, and the rest of the food which was mostly new to me and delicious!! Then I struck lucky. Some time later, on our trip through Turkey, we were having dinner somewhere and the people at the next table were South Africans of Turkish descent – I described the plant to him and this is what he wrote in my diary SEMIZ OTU and from that I was able to translate it to PURSLANE = eureka! This is a plant that grows wild in many countries and, once established, will just keep growing in your garden. In fact, as everybody says – it grows like a weed and abundantly in my garden from late winter to mid-summer. I now recognize it as a common plant for sale in Greece, but I have never seen it in a shop in Australia. It’s a ground hugging succulent and the seeds are available in Australia from Green Harvest and Eden Seeds. NOTE: My husband was working down in Sydney and saw a woman harvesting a plant from the park in seaside Bronte. She told him that she had come from Hungary many years ago and that she collected this plant for her husband – it helped with his arthritis and joint pain. She didn’t know what the name was in English but gave him some seeds to plant which sprouted readily in our garden and – guess what popped up – purslane Portulaca oleraceae? Once upon a time, many societies relied on the ‘weeds’ and wild foods growing around them to provide them with the bulk of their food nutrients. In Greece they still do – they call them ‘horta’ – wild greens served as a staple with most meals. (Think about the word ‘horticulture’ – here is the root meaning (pardon the pun!). For an interesting insight into the value and use of wild green go to the marvellous blog of Maria Verivaki and her piece about wild foods. 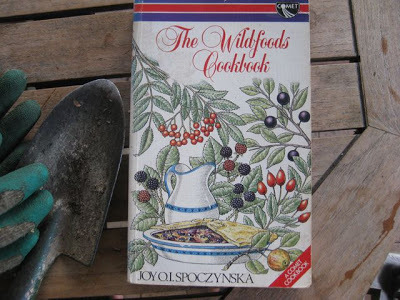 I love public libraries and our has a big trolley outside with discarded books for $1 – that’s where I hit the lottery with this book about wild foods. With food security a hot topic these are skills we all may have to ‘re-learn’ – how do we feed ourselves with what we have growing around us without having to visit a shop? At the moment I’m busy collecting rose petals so I can make some rose petal jam – hopefully just like the divine conserve I last tasted at another stop in Turkey – fortunately, in that instance, I did know what I was eating! A slightly different take on Jimmy’s salad, but one you will encounter all over Greece and the Middle East. 1. 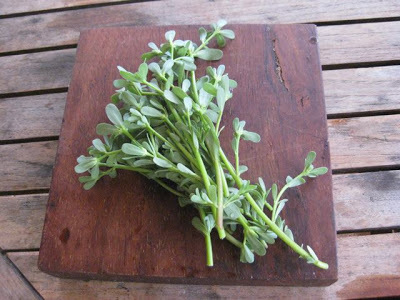 Pick over purslane and remove thick stems, wash leaves well and dry. 3. Fold in crushed walnuts. 4. Toss purslane leaves and sauce together. 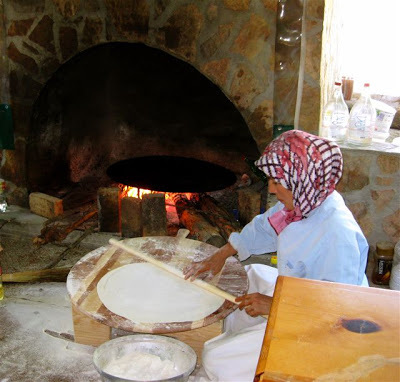 Traditional Turkish snack of thin pastry with sweet or savoury filling – called borek.